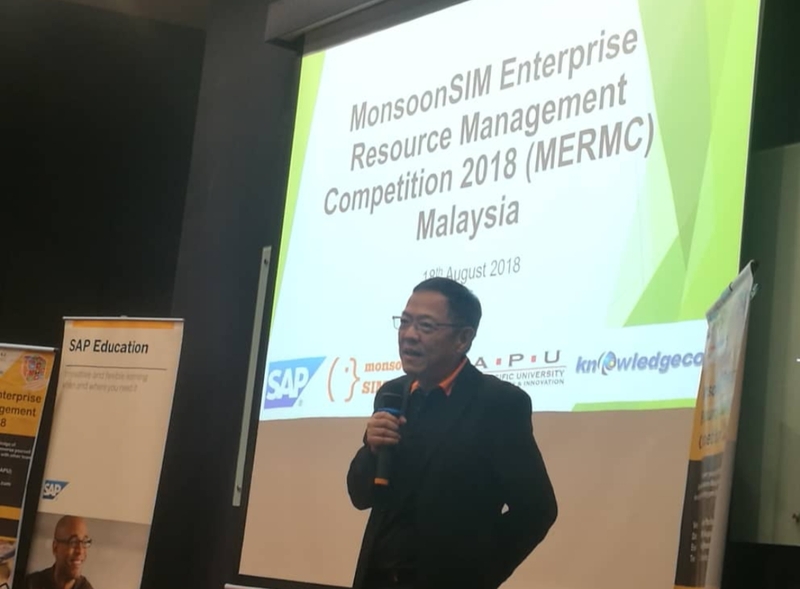 Kuala Lumpur (Malaysia) August 18, 2018 -- Coming off perhaps more practices before the competition, virtual companies of Universiti Tunku Abdul Rahman(UTAR) finished 1st, 2nd, and 3rd in the MonsoonSIM Enterprise Resource Management Competition(MERMC) Malaysia Final 2018. 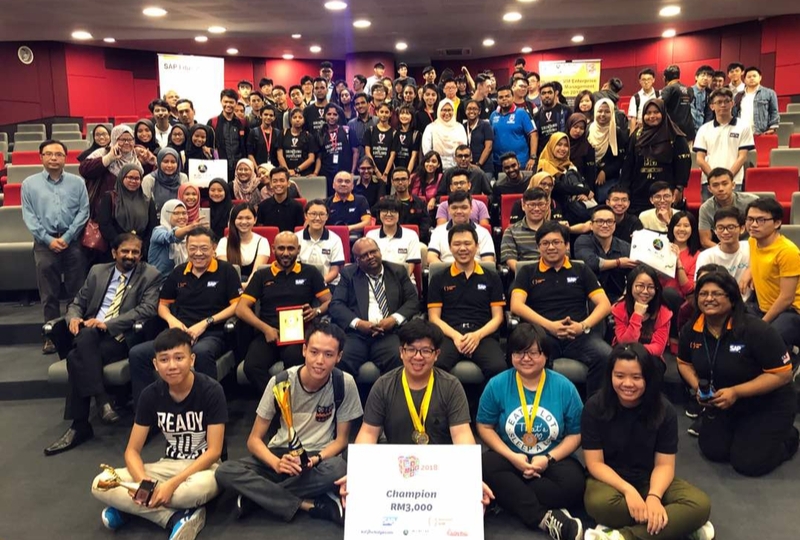 Twenty four teams consisting of 120 students from 8 universities in Malaysia converged on the beautiful campus of Asia Pacific University(APU), sprang into action as soon as the bells in 3 adjoining rooms rang to kick off the start of the competition. 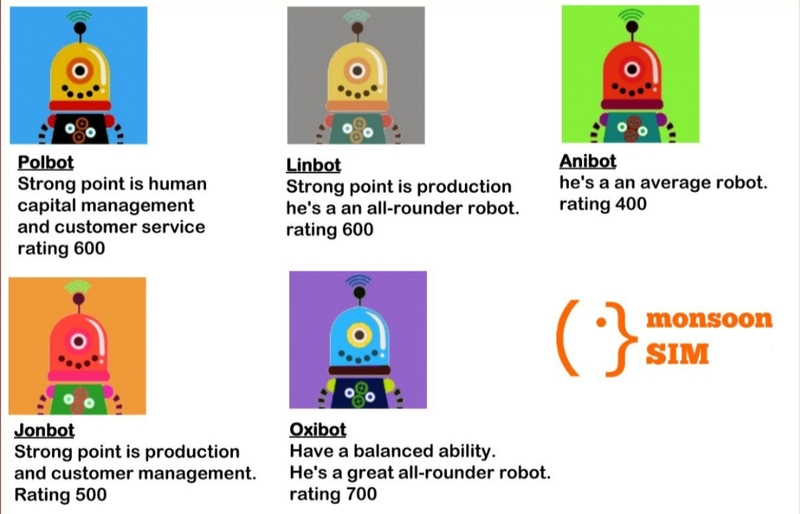 MonsoonSIM is proud to present our latest innovation - the Human vs Robot competition. The scores from this first ever competition represented 20% of the total competition scores. 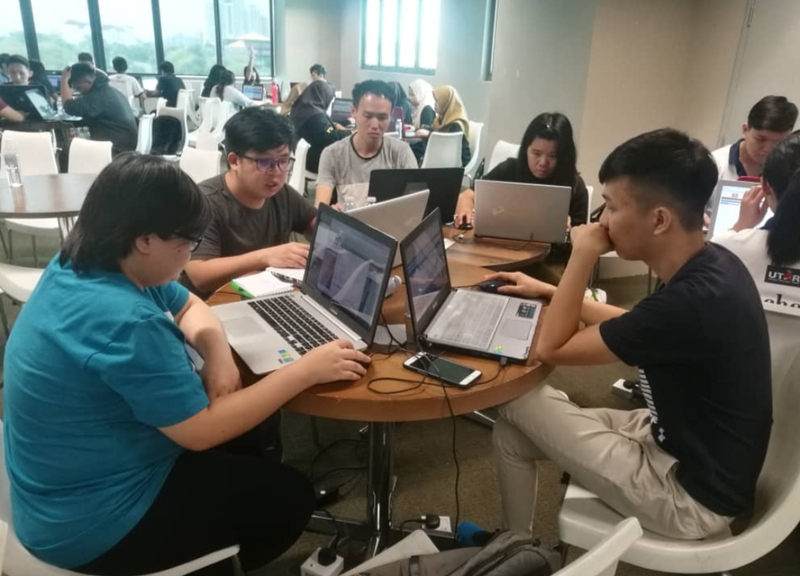 MERMC inclusive of robotic challenge is a Business Process Simulation Competition involving virtual companies that are formed by students in teams to compete against each other, and also against the robots. The team who comes away with the best results from the scoring matrix of the day, wins. 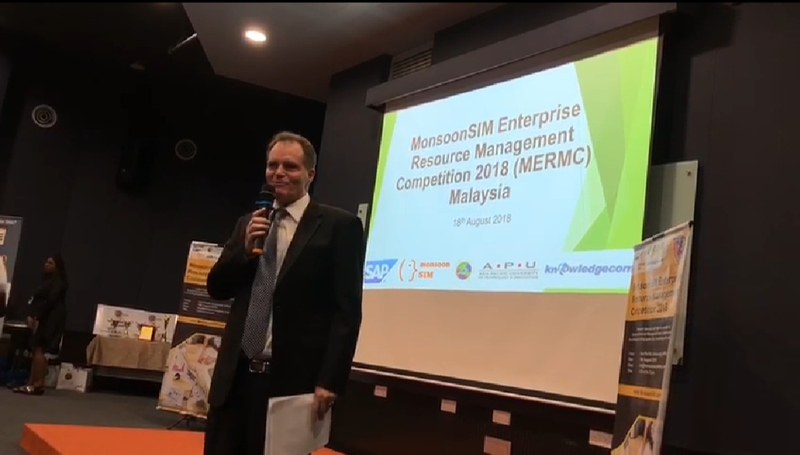 The competition was based on MonsoonSIM, a SAP endorsed Experiential Learning Platform developed to help students learn Enterprise Business Processes involving Integrated ERP(Enterprise Resource Planning) concepts by performing various business transactions, and how those transactional activities serve to raise their level of understanding in doing business. The 12 core business modules: Finance; Purchasing; Retail; Wholesale; ; Production; MRP; Forecasting; Maintenance; Human Resource; and Customer Service. The 24 teams were divided into 3 groups with 8 teams in each group. ALL KILL, BONE BREAKER, connect 5 lunch, Goal Diggers, MicFs, Skeptics, Wakanda, YTJT. Alpha, alpha maniac090, IBYFCupipi, Javaman, JSilent, Pythagoras, Tealive, THUNDER CAT. 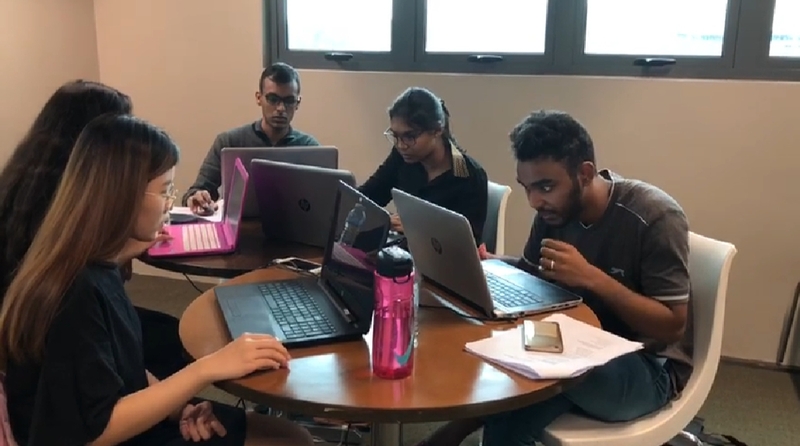 After an intense battle in the second session Human vs Human semi-final round, 3 top teams from each group emerged as finalists. The fight for supremacy of the day began after a short break. And the climax of this third and final session of the competition came in mid way when Panda, GLHF, JSilent, IBYFCupipi, and MicFs were neck and neck all the way to the finish line trailing behind Javaman. At the end, Javaman managed to maintain its lead and emerge as Champion followed by JSilent, MicFs, Panda, GLHF, and IBYFCupipi. 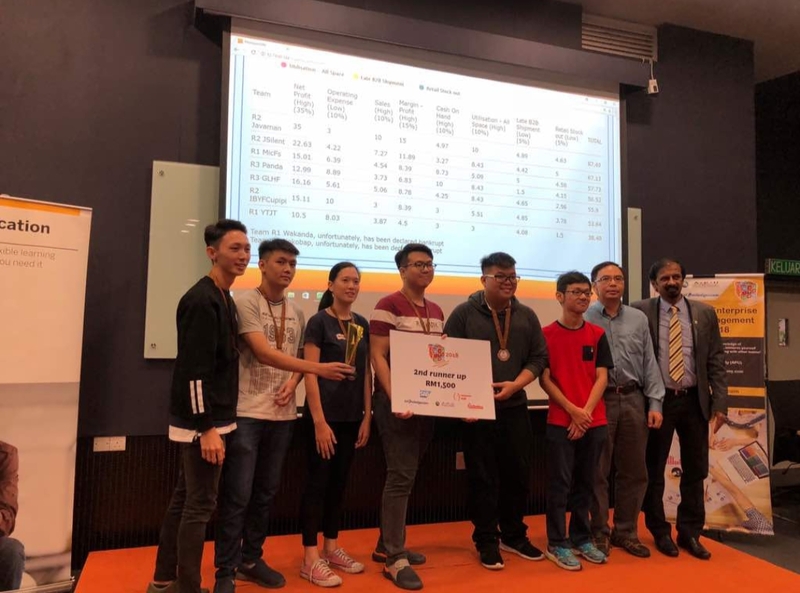 Coincidentally, the top three were from UTAR. 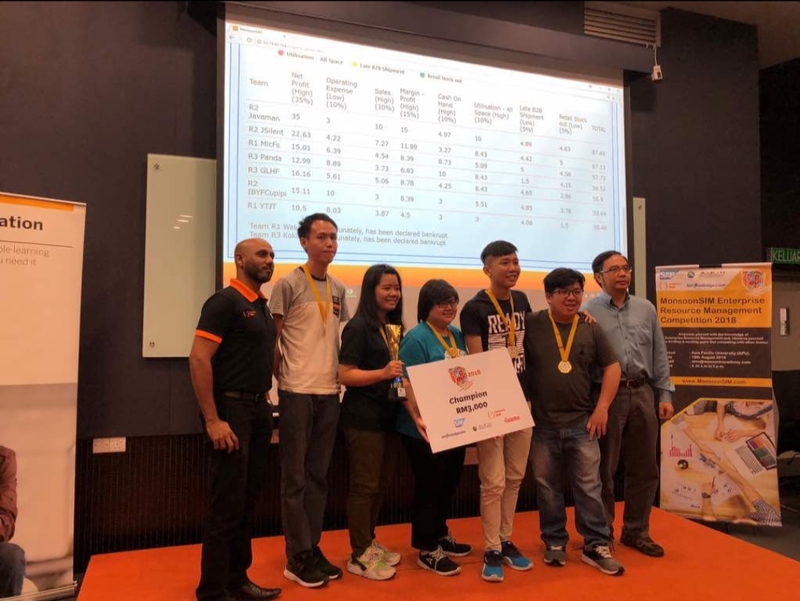 MonsoonSIM and its sponsor also gave away cash prizes to the top three winners. The day ended with a high spirited photo session and a lively buffet. We thank Vice Dean Mr. Ron Edwards of APU for the opening ceremony and his insight on the idea of collaboration between universities and the industry. 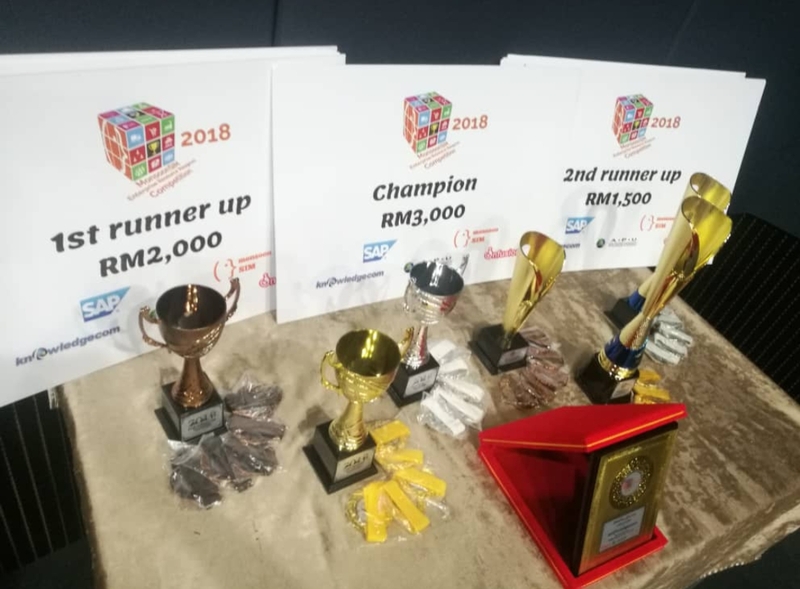 We thank SAP Southeast Asia Education for its continuous support. We thank Prof Geetha Rubasundram and her team at APU for organizing a successful event. 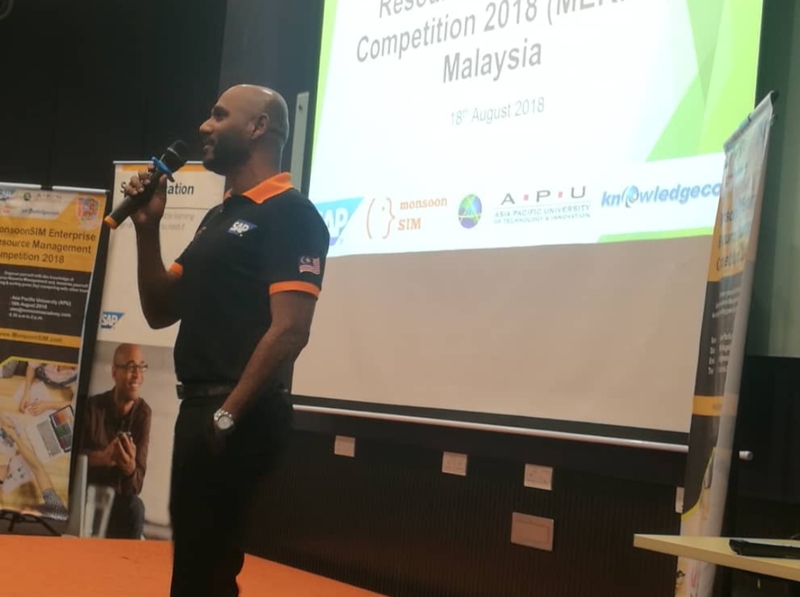 We thank our partner and sponsor Mr. Dylan Gurunathan of Knowledgecom for giving words of advice and encouragement to the participants. We thank all the participating universities. 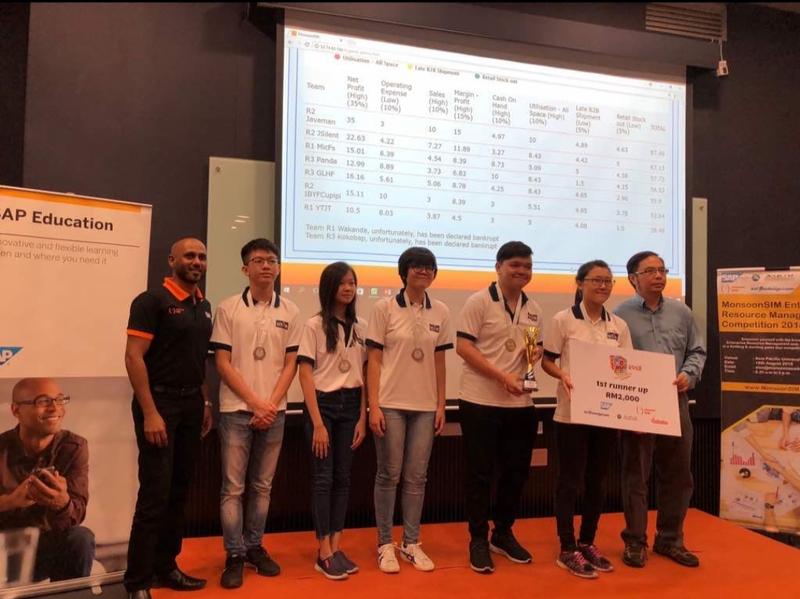 We thank our colleague Mr. Alex Ong of MonsoonSIM Singapore for facilitating the competition. 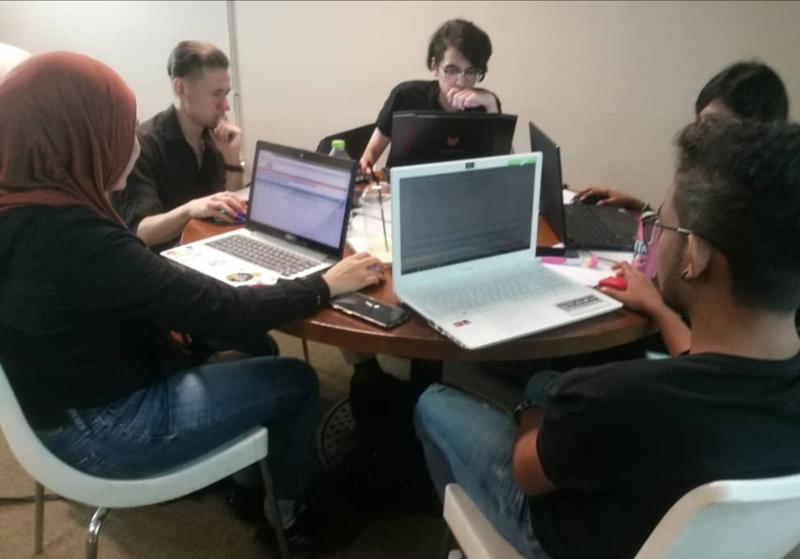 According to Mr. Taminsyah, the key message in 2018 is that we have launched the world's first ERP-based Robotic Experiential Learning. 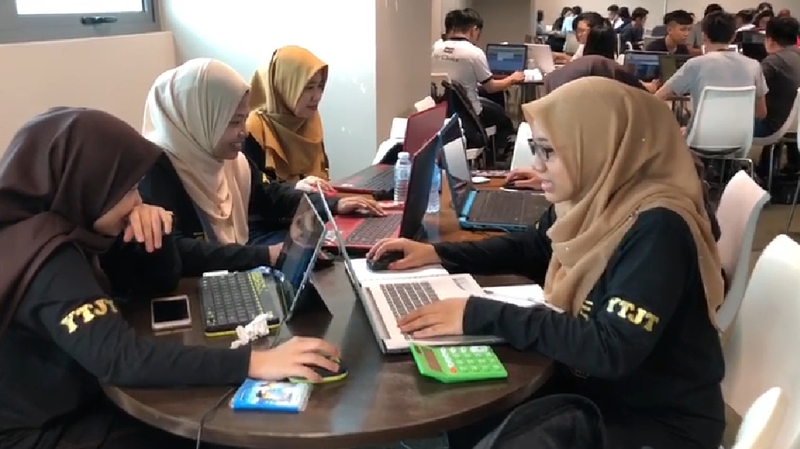 With the help of Robots, we can now speed up digital transformations in education. 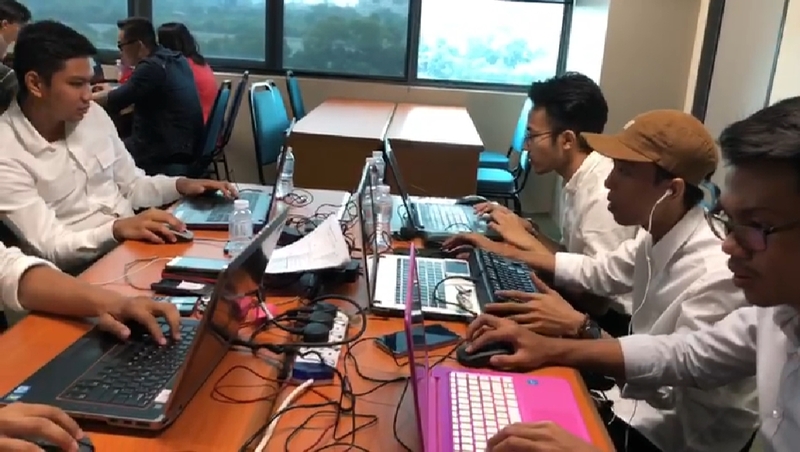 Specifically, the MonsoonSIM Robots can be set up by educators (Certified Trainers) to be the learner's learning partner -- as well as -- the learner's business sparring partner. 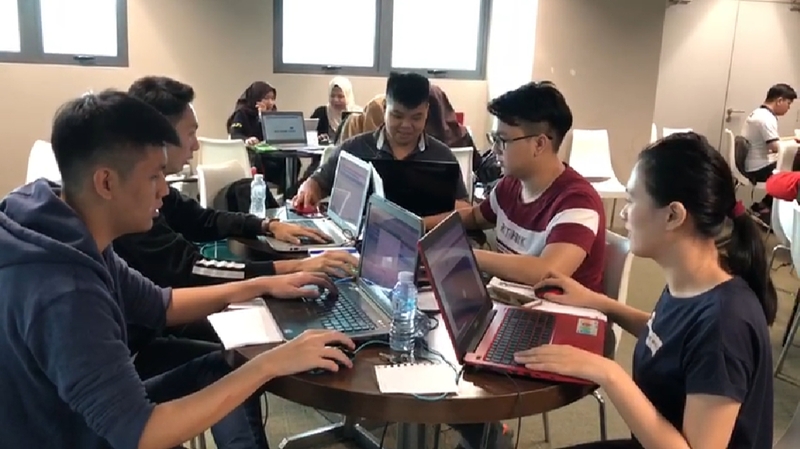 In the context of experiential learning, having Robots can help create complex business transactions and further simplify the whole teaching and students guiding process. Furthermore, for educators, the robotic challenge can also serve as a yardstick for benchmarking learners' knowledge. Lastly, we thank all the student volunteers. This event would not have been successful without their efforts.